Trees for Life is recognizing World Food Day as we continue to support and promote the increasing impact of the moringa tree for nutritious and healing properties. 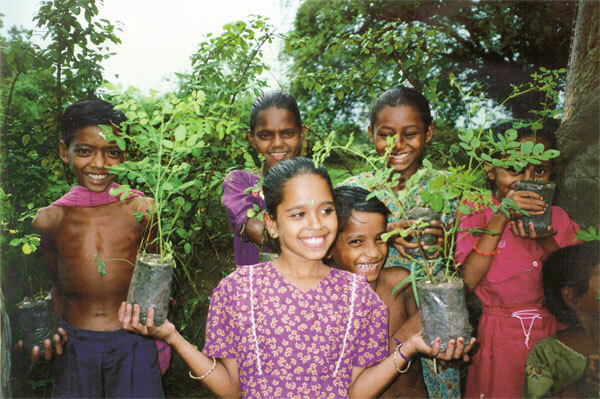 In the last 25 years we at Trees for Life have been an active supporter of moringa in its world-wide growth. The moringa tree is very fast growing. The leaves, seeds and flowers are edible and nutritious, and they can be used in a variety of forms including a wonderful tea. Amazing facts about moringa are that it contains 2 times the protein of yogurt, 7 times the vitamin C of oranges, 3 times the potassium of bananas, 4 times the vitamin A of carrots and 4 times the calcium of milk. To learn more about the Moringa Tree and its amazing properties, join us at Trees for Life. As a note about World Food Day: WFD is a worldwide event designed to increase awareness and understanding and to promote year-around action to alleviate hunger. The first WFD was held in 1981 and today in the United States the endeavor is sponsored by 450 national, private, and volunteer organizations.